2019 Ford Bullitt is Rocky Mountain Car of the Year, while the 2019 Ram 1500 wins Rocky Mountain Truck of the Year and the Subaru Ascent takes top honors as Rocky Mountain SUV of the Year. Members of the Rocky Mountain Automotive Press have selected the vehicles that stand out when driving in the Rocky Mountain region. 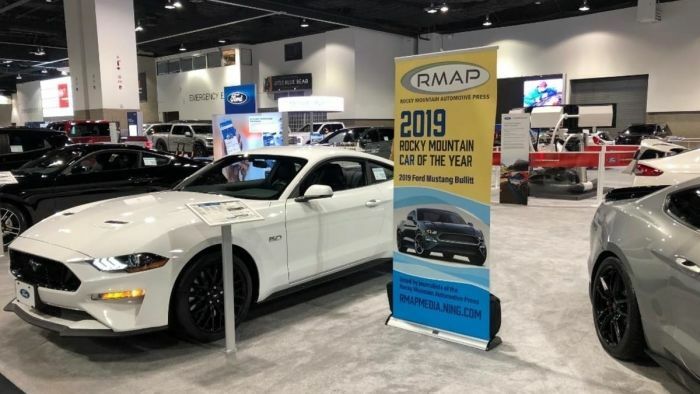 RMAP has honored the 2019 Ford Mustang Bullitt as the Rocky Mountain Car of the Year. RMAP’s members considered the car’s handling, performance, fuel economy and value as well as other vehicle features that make the vehicles useful in the mountains as they were making their selections. Journalists narrowed the field to four finalists. The finalists were the Volkswagen Jetta, Mazda6 Signature, Ford Mustang Bullitt and the BMW M5. A banner in the Ford area distinguishes the Mustang Bullitt as the Rocky Mountain Car of the Year. The Rocky Mountain Automotive Press also selected the 2019 Ram 1500 as the Rocky Mountain Truck of the Year. Journalists felt the Ram’s handling, performance, fuel economy and other features made it stand out in the truck category. Other finalists were the GMC Sierra AT4, the Ford F-150 Raptor 3.5L V6. The 2019 Ram 1500 has won several other awards for its upgraded interior and overall performance. Its sales also reflect the increased popularity of the truck. 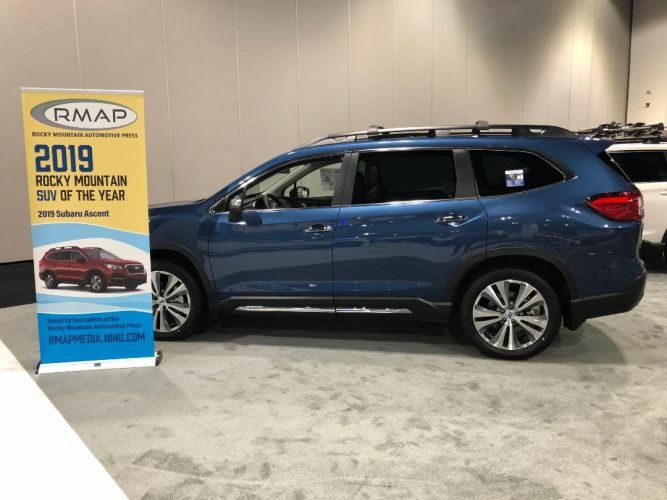 The 2019 Subaru Ascent was selected as the Rocky Mountain SUV of the Year. The other finalists for 2019 were the Chevrolet Traverse, the Nissan Rogue with Pro-Pilot Assist and the Volkswagen Atlas. You can read much more about the popular Subaru Ascent in this article from my colleague Denis Flierl. The Rocky Mountain Automotive Press includes journalists from Colorado, Utah, Wyoming, New Mexico, Kansas and Nebraska. 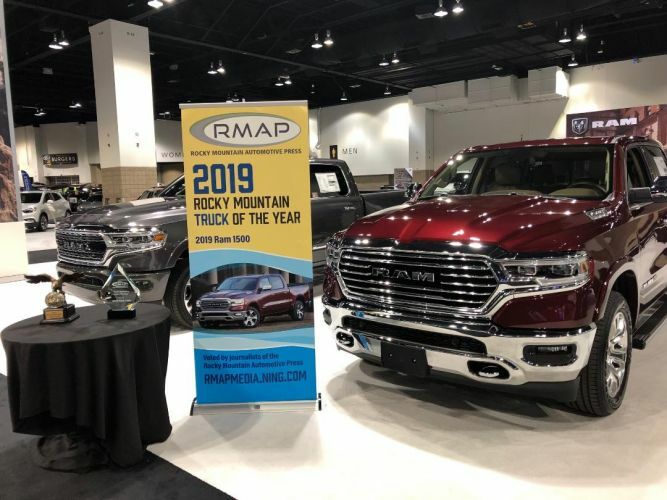 2019 marks the 13th year of the Rocky Mountain Vehicle of the Year Awards. The Denver Auto Show runs from March27-31st, 2019, at the Colorado Convention Center.